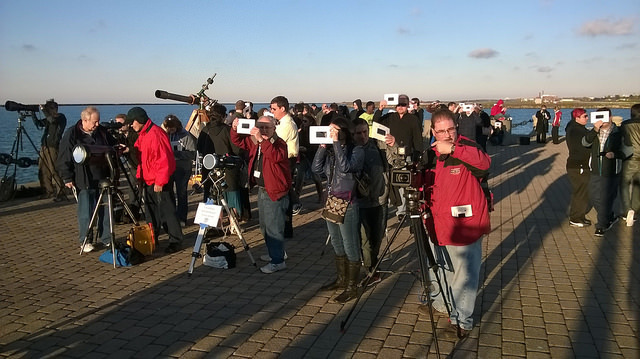 Members of the Cuyahoga Astronomical Association (CAA) were present across the Greater Cleveland Area both hosting and participating in observation of the October 23 partial solar eclipse. 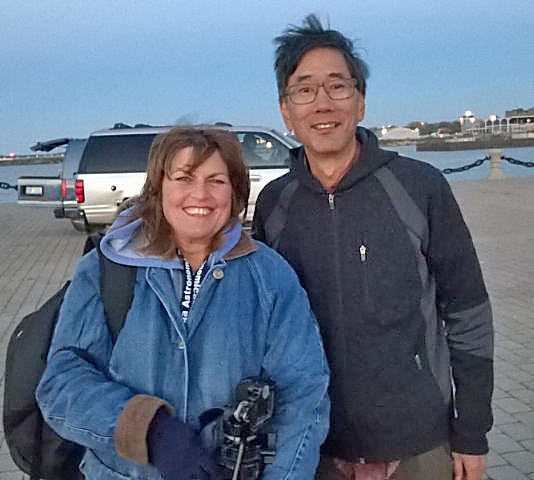 The club hosted an event at Voinovich Park in Downtown Cleveland, assisted with an event at Gordon Park with the Cleveland Museum of Natural History, and observed from the Chapel Hill Mall parking lot (Cuyahoga Falls), Mapleside Farms (Brunswick), Bradstreet Landing (Rocky River), and the Avon Lake Boat Launch. 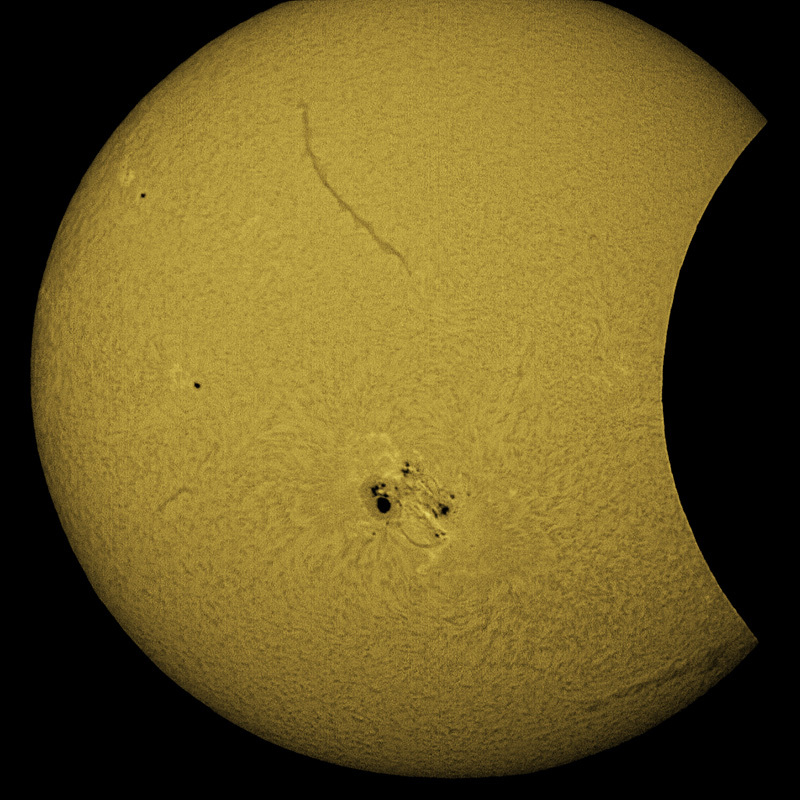 Members watched and, in some cases, imaged the sunset eclipse. 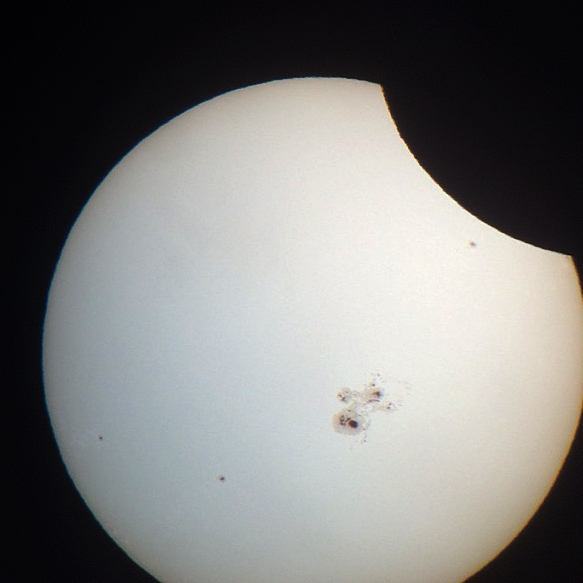 The eclipse and the CAA received widespread media coverage, according to Reynolds, including pieces on WTAM, Fox 8, WKYC, and others. Channels 3, 8, and 19, during their evening news broadcasts, credited the club with the event. Reynolds also learned that WKYC (Channel 3) was streaming the event live via the Internet and recorded more than 1,000 viewers. Astronomy enthusiasts often complain about Northeast Ohio’s often less-than-perfect skies (being polite here) but one man disagreed with that assessment. Eclipse Viewers at Avon Lake Boat Launch’s Fishing Pier. 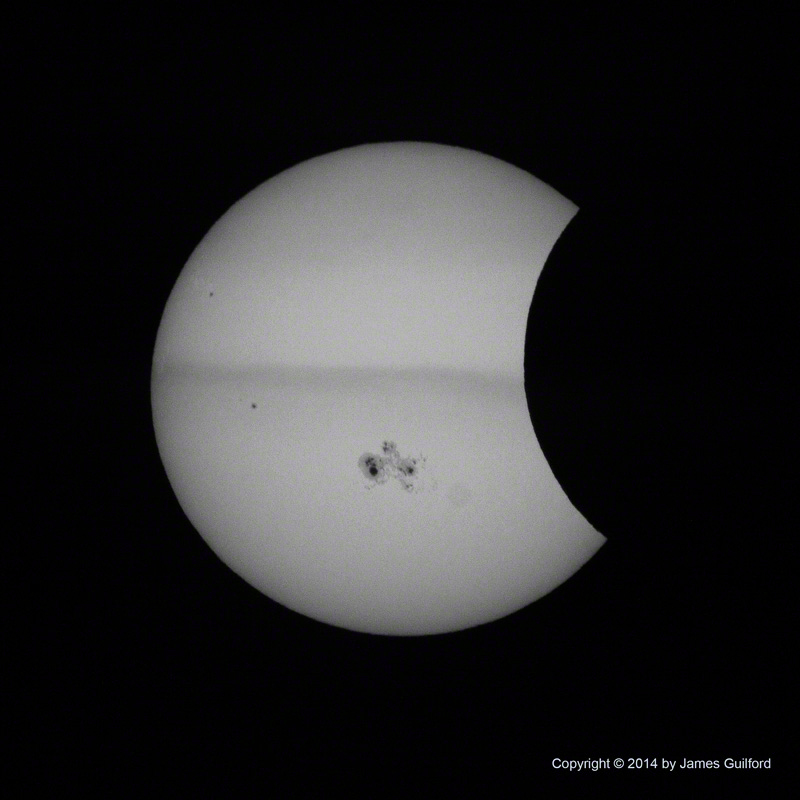 Photo by James Guilford. Steve Korylak and James Guilford viewed and photographed from the Avon Lake Boat Launch fishing pier along Lake Erie. 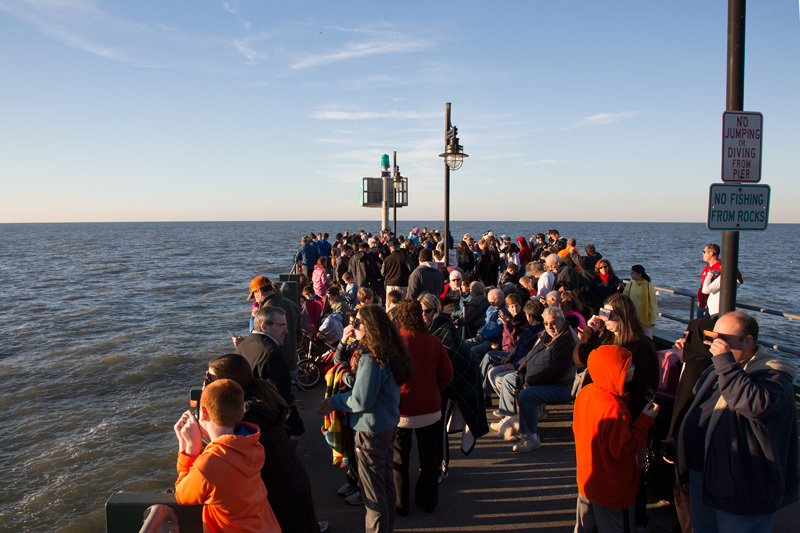 A good-sized crowd of perhaps 100 gathered there and the Lake Erie Nature and Science Center, Bay Village, led public viewing. 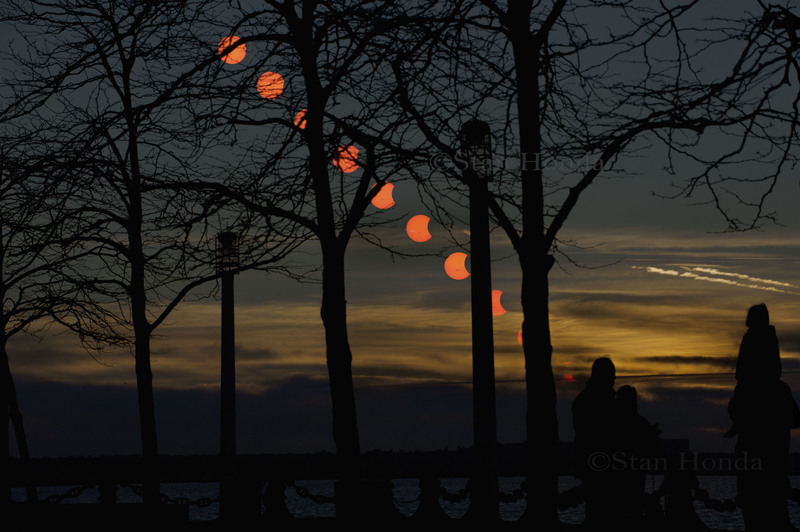 Lakefront viewers were hoping for a colorful sunset with the eclipsing Sun sinking into the waters of Lake Erie. That didn’t happen. 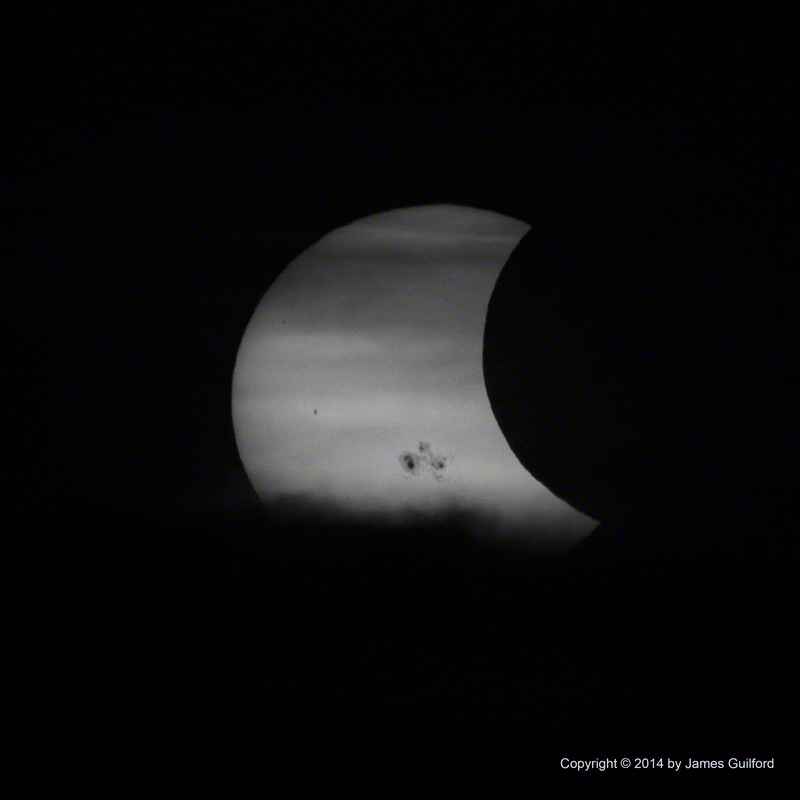 Instead, as the eclipse progressed, it descended into a bank of Lake Clouds streaking, at first, the brilliant crescent-shaped Sun, then covering it entirely. The clouds made for a dramatic and mysterious view, memorable in its own way. 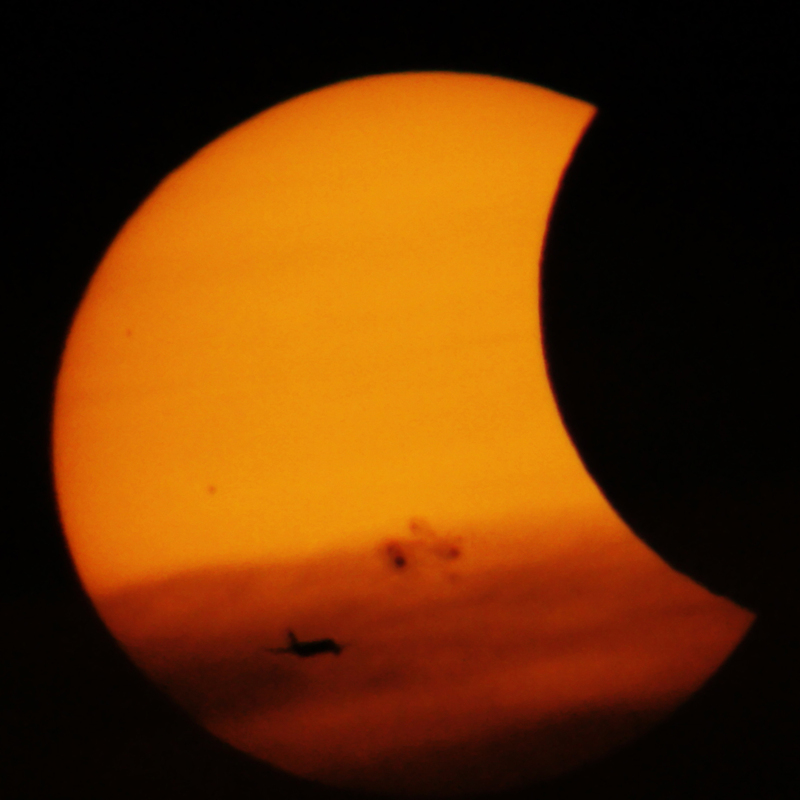 This entry was posted in Uncategorized and tagged astronomy, astrophoto, Lake Erie, northeast ohio, northeastern ohio, sky event, solar eclipse, sun, sunspot. Bookmark the permalink.